Research In Motion (RIM) unveiled a stylish new BlackBerry smartphone for those looking to flash their handsets in style. RIM’s new handset is tagged as BlackBerry Style which is a flip-type BlackBerry phone packed with a full QWERTY keyboard. After BlackBerry Torch, which was the first one to ship with the brand new BlackBerry OS 6, BlackBerry Style would be the second one to be available with the strong OS. The new handset would be made exclusively available from Sprint. BlackBerry Style has a size of 3.78 inches by 2.36 inches and 0.73 inches thick. The smartphone delivers two display types, one at the front with a 2-inch external display and the other is the main display which 2.7 inches diagonally with a resolution of 360 x 400 pixel. Furthermore, the phone delivers an optical trackpad with the previously designed Bold-style keyboard. BlackBerry Style further offers a 5-megapixel camera with autofocus, digital zoom, VGA recording, flash and image stabilization. Powered with 512MB of RAM, it comes packed with an 8GB microSD card with the capability to support upto 32GB of storage. Currently being offered in two attractive colors: Steel Gray and Royal Purple. 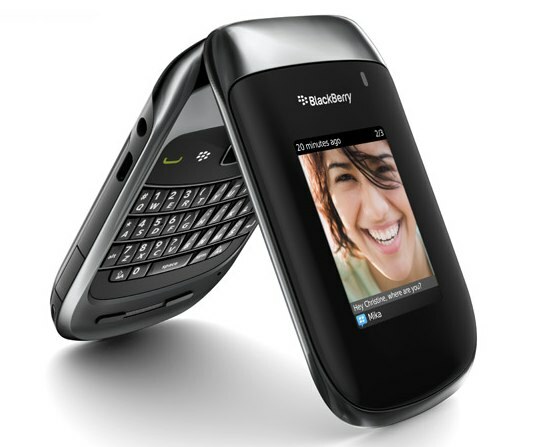 The RIM BlackBerry Style will be available on Oct 31 with an attractive price of $99.99, upon signing a two-year agreement.